Travel is a relatively rare part of most people’s lives, especially if it’s overseas. That’s you need to be totally gung ho about your choice of foreign soil to set foot on. To help make your decision easier, I’m going to offer five reasons for why you need to go to Morocco. Just five. There are plenty more reasons, but I’m trying to keep the list short. 1. An Arab-Muslim nation with a Berber tribal heritage, a short ferry ride from Spain, and formerly controlled by France must by definition be a fascinating place. Influenced by three continents, visiting Morocco is like going everywhere in the Eastern Hemisphere all at once. Morocco bears the marks of a former Roman province, Islamic Dynasty, and World War II battlefield. With so much historical intrigue to offer at one location, Morocco makes a great case for itself. 2. 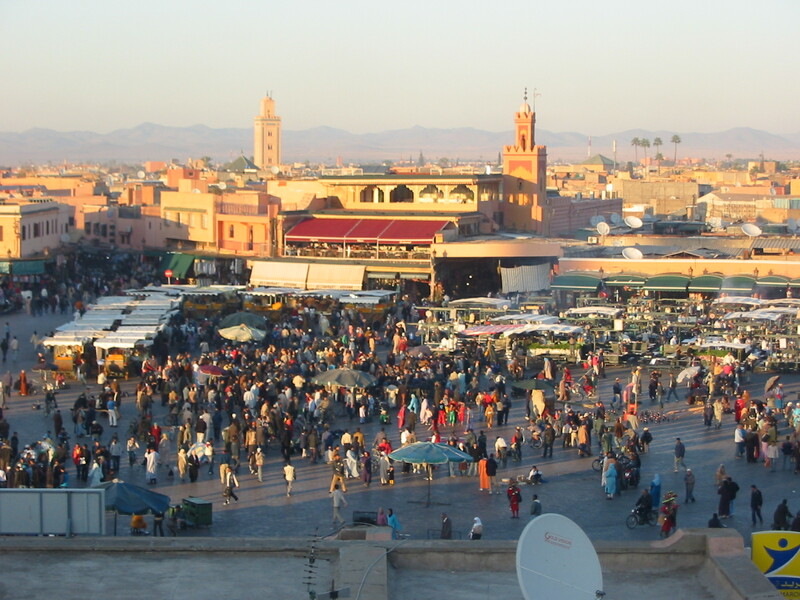 Morocco boasts one of the busiest squares in Africa. The Djemaa al-Fna in Marrakech has been listed as one of UNESCO’s Masterpieces of the Oral and Intangible Heritage of Humanity. If authentic and bustling markets excite you, you are not apt to find a better place to put on your haggling face! 3. Geographic diversity. With the snow-capped Atlas and Rif Mountains so close to the Atlantic seashore, and both of those only a train ride from the great Sahara Desert, Morocco offers an extremely wide variety of geographic interests to the modern day adventurer. Whether wind surfing at Essaouira Beach, admiring Toubkal Mountain, the highest peak in the Atlas Range, or taking in the sights of the mountainous sand dunes in the south, there is a geographic feature for everyone to enjoy! 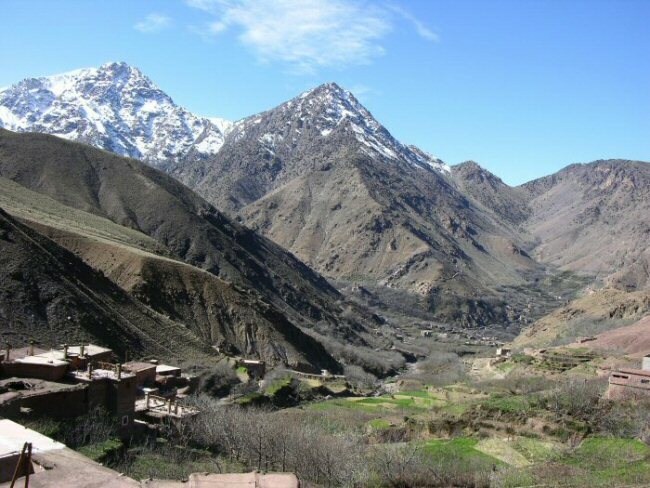 Plus, if you go in the winter, the Atlas mountains are great for skiing! 4. Riads. These traditional homes-turned-hotels allow for some of the best culture soaking in the world! 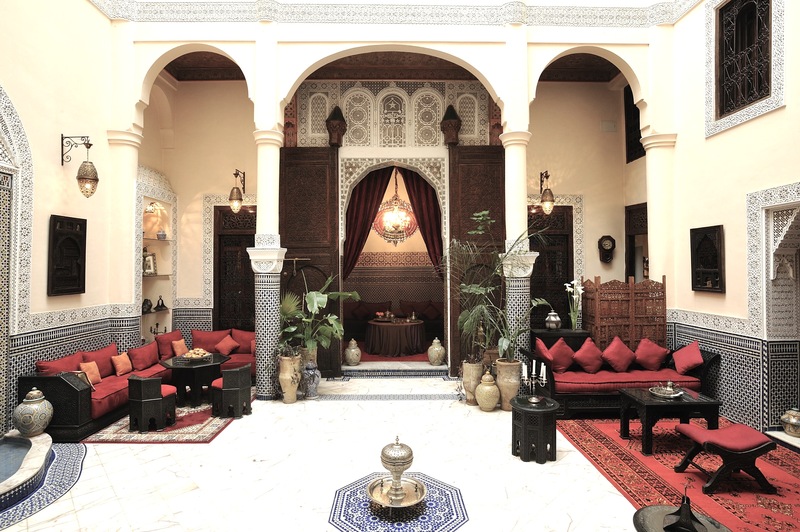 Instead of checking into a hotel anywhere else, enjoy the ancient hospitality of the Moroccan riad. Whether in Fez, Marrakech, or Rabat, riads ensure that you experience the full gamut of North African culture. These buildings can but up to 1000 years old and boast an architectural palette ranging from Roman to Islamic to Spanish styles. Wake up to the smell of authentic Moroccan food cooking in the kitchen below and enjoy the solitude of the courtyards, even in the midst of the big cities. 5. Tangier: Art Central. Many people don’t know that many American and European artists (such as Mark Twain, Ferdinand Delacroix, Henri Matisse, Tennessee Williams, Paul Bowles, William S. Burroughs, Allen Ginsberg, Jack Kerouac, to name a few) have used Morocco as the ideal getaway and, for some, even a permanent residence. During the French years of Morocco’s lifespan, Tangier was flooded with eccentric rich folks, spies, gamblers, and straight up crooks. The flood of Westerners, especially after Delacroix’s romantic masterpieces, made the place quite trendy for high profile artists and the like. 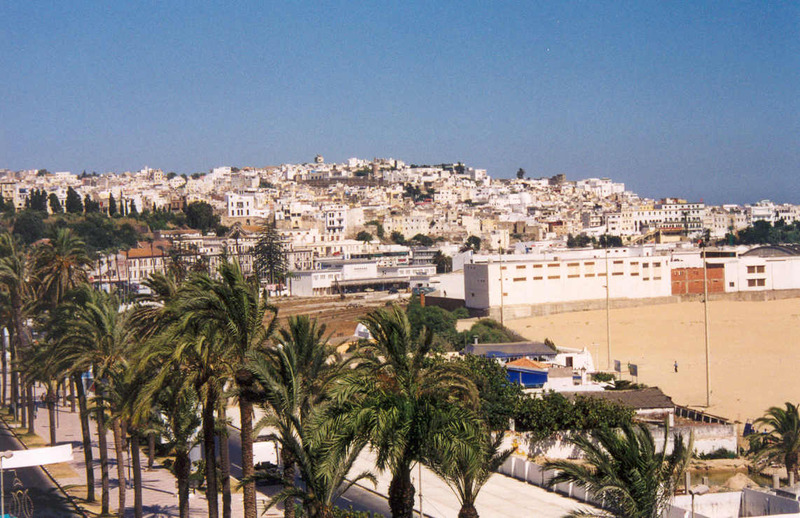 Today there is still a vibrant arts community in Tangier to explore. Consider Morocco for your next overseas trip. If you are seeking to see the world, there is no better way!